Rare 20 acre parcel with a mix of local and Native American history as well as part of the locally famous ''Rabbits Back Peak'' a ''seastack'' (rock) resting on the site with a part of the peak on Hiawatha Federal Forest. In the 1900s the land was used as a navigational point by ships being the highest lookout pte. around. Lake Huron access is over federal land and easements. 4 min. to downtown St. Ignace, Mackinac Bridge and snow/ATV trail system. Close to rivers, inland and great lakes and just a few minutes to local dining, area attractions and Kewadin Casino. 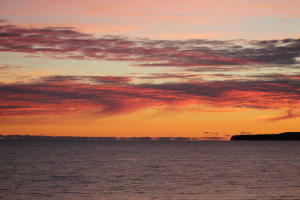 Abuts 100 acres of public land & Lake Huron shoreline.& views of Mackinac Island. Wildlife and birding area with old camp roads throughout. 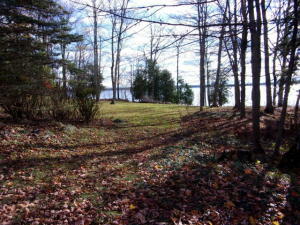 3 adjoining lake lots for sale. See website for additional history and folk lore. 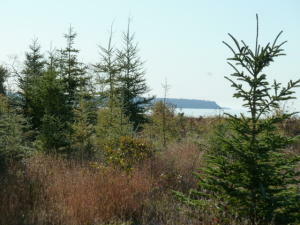 Beautiful direct Lake Michigan Bluff parcel just outside the village of Brevort in Michigan's Eastern Upper Peninsula. This large wooded lot offers spectacular sunrise and sunset views. The lower shore consists of sandy beach that can be walked for miles. Views of passing Great Lakes freighters and a distant lighthouse will make you want to never leave. Walk across U.S. #2 to beautiful Little Brevort Lake (100% State property) where you can launch a kayak , take a walk through a popular trail system to Big Brevort Lake, (4200 all-sports lake) where you can discover unlimited recreational activities. Great, fishing, birding, snowmobiling etc. RV's allowed. Fabulous price for a large chunk of Great Lakes waterfront, just not seen elsewhere. Across from 1000's of acres of State land. 272 FT of waterfront on S Manistique Lake! Perfect building site. More information to follow. Seller would consider a land contract, contact agent for terms. WILDWOOD LOTS ARE LOCATED ON WILDWOOD LANE, A SHELTERED RD JUST OFF US-2 IN THE VILLAGE OF BREVORT. A BEAUTIFUL MIX OF WOODS, THESE WATERFRONT BUILDING LOTS OFFER SPECTACULAR VIEWS OF LAKE MICHIGAN AND MILES OF SANDY SHORELINE ARE JUST STEPS AWAY. Owner says this is a great spot for RV camping until you build your dream get away. It also offers a safe harbor for your toys, this 130x215 lot offers a nice size (100x125ft ) building site. 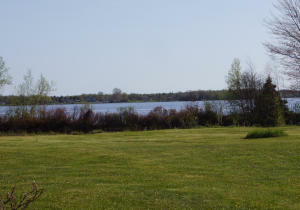 Located on all-sports Brevort Lake a 4300 acre lake that is 80% federal owned. Located on a year-round paved county maintained road, property has sewer hookup at road, but will need a well. Property offers great views and is near the end of a dead end road for privacy. Located just 17 minutes from the Mackinac Bridge and close to Trails, hunting and 1000's of acres of federal and state land. Activities inc. direct access to snowmobile-atv trails, thousands of acres of public hunting lands, fishing, snowmobiling, hiking, birding, water-skiing and boating and is convenient for so many day trips. 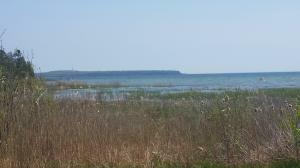 $7000 reduction on this Lake Huron home site located in the Rabbits Back area of St. Ignace. These two building parcels are side by side and abut Federal Forest. 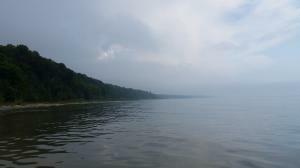 Located at the end of Rabbits Back Rd., each 100 x 200 building parcel will offer beautiful views of the lake and Mackinac Bridge towers and access to 100 acres of Federal land wrapped around this unique bay and waterfront point that features many varieties of birds and wildlife. Great kayaking-hiking-recreation area. 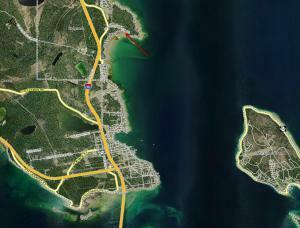 Close to casino, downtown St Ignace/I-75 access. Price is for each bldg. parcel, 100 x 200, 2 total, combine for privacy 200 x 200. Set up the RV and start planning your new home. 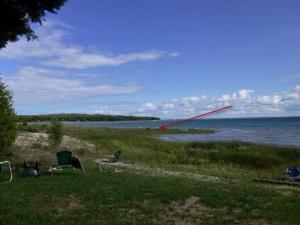 $7000 price reduction-(each 100 ft. wide) Lake Huron home site, located in the Rabbits Back area of St. Ignace. These two building parcels are side by side and abut Federal Forest. Located at the end of Rabbits Back Rd., each building parcel will offer beautiful views of the lake and Mackinac Bridge towers and access to 100 acres of Federal land wrapped around this unique bay and waterfront point that features many varieties of birds and wildlife. Great kayaking-hiking-recreation area. Close to casino, downtown St Ignace/I-75 access. Price is for each bldg parcel 100x200, combine both for 200 x 200, and privacy. Set up the RV and start dreaming about a Great Lakes home design. 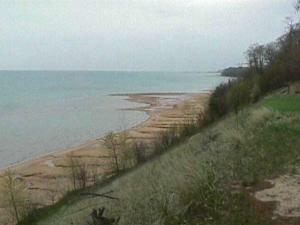 Rare wooded bluff lots on Lake Michigan with spectacular view and sandy beach. Lot 16 is part of the Wildwood subd, a 26-parcel development tucked in the woods and 22 minutes from the Mackinac Bridge and Historic St.Ignace. Some building restrictions apply. Also available is lot 21. 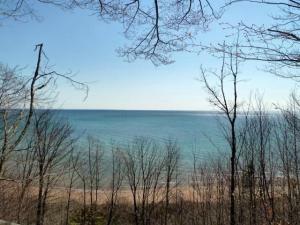 Rare wooded bluff lots on Lake Michigan with spectacular views and sandy beach. Lot 21 is part of the Wildwood subd, a 26-parcel development tucked in the woods and 22 minutes from the Mackinac Bridge and Historic St.Ignace. Some building restrictions apply. Also available is lot 16.